Pavement failure due to increased traffic loads and collapsing service trenches. Deep lift asphalt reinforcement of pavement and resurfacing. 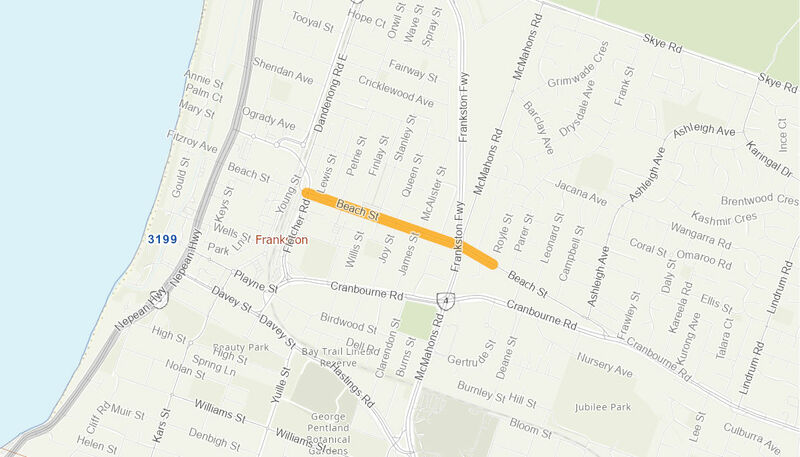 Redesign of road may include changes to linemarking / on road carparking to allow for on road bicycle lane, in accordance with Frankston City Council's Bicycle Strategy.